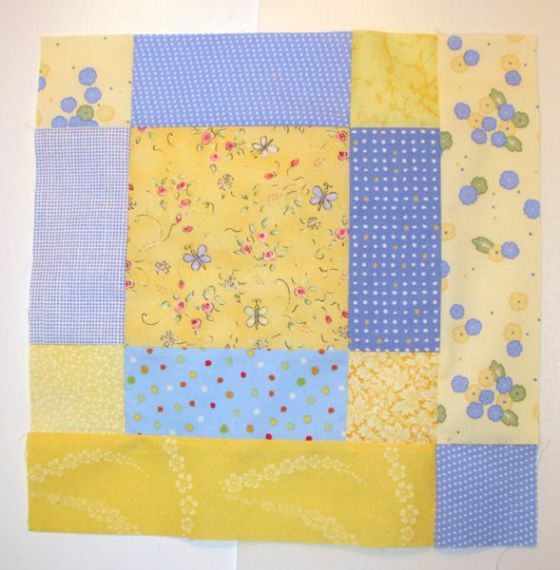 "I think you’ll notice how “lopsided” the block is–and that’s because I wanted to eliminate the sashing step, including it in the making of the quilt. 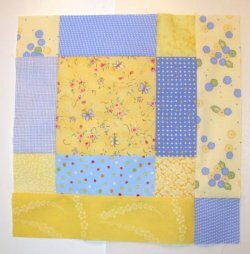 I also wanted to make this quilt completely from my fabric stash, so I chose colors I had multiples of, in different designs and shadings. What is sashing? 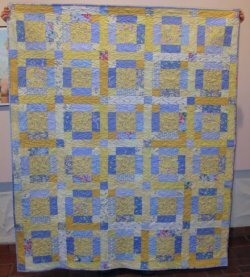 It’s those long strips that separate blocks from each other and can be part of the design of a quilt, letting each block float in its own little world. Many modern quilts eliminate them, but I like them occasionally."